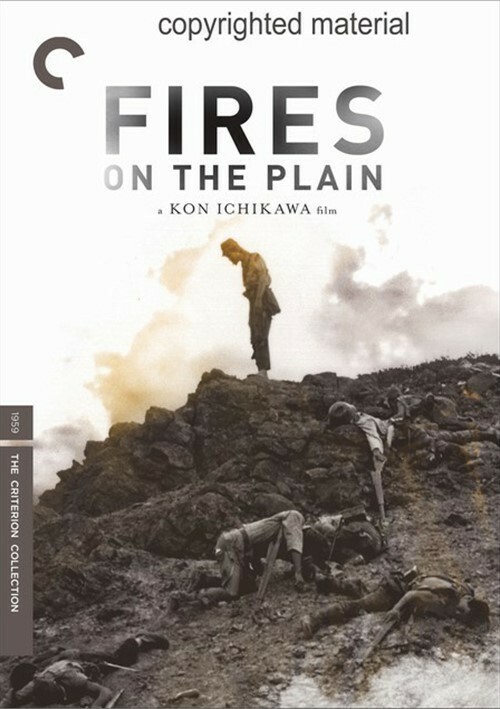 An agonizing portrait of desperate Japanese soldiers stranded in a strange land during World War II and the lengths they go to survive, Kon Ichikawa's Fires On The Plain is a compelling descent into psychological and physical oblivion. Denied hospital treatment for tuberculosis and cast off into the unknown, Private Tamura treks across an unfamiliar Filipino landscape, encountering an increasingly debased cross-section of Imperial Army soldiers. 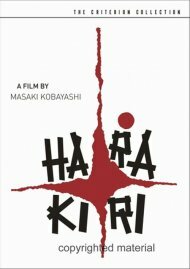 Grisly yet poetic, Fires On The Plain is one of the most powerful works from one of Japanese cinema's most versatile filmmakers. 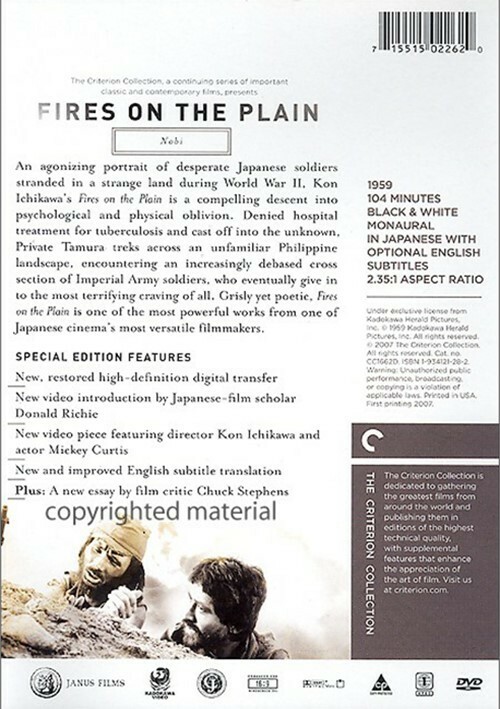 Review "Fires On The Plain: The Criter"
Reviews for "Fires On The Plain: The Criter"